Sweet potato (Ipomoea batatas) is among the most nutritious subtropical and tropical vegetables. It is also used in traditional medicine practices for type 2 diabetes mellitus. Research in animal and human models suggests a possible role of sweet potato in glycaemic control. Three RCTs met our inclusion criteria: these investigated a total of 140 participants and ranged from six weeks to five months in duration. All three studies were performed by the same trialist. Overall, the risk of bias of these trials was unclear or high. All RCTs compared the effect of sweet potato preparations with placebo on glycaemic control in type 2 diabetes mellitus. There was a statistically significant improvement in glycosylated haemoglobin A1c (HbA1c) at three to five months with 4 g/day sweet potato preparation compared to placebo (mean difference -0.3% (95% confidence interval -0.6 to -0.04); P = 0.02; 122 participants; 2 trials). No serious adverse effects were reported. Diabetic complications and morbidity, death from any cause, health-related quality of life, well-being, functional outcomes and costs were not investigated. 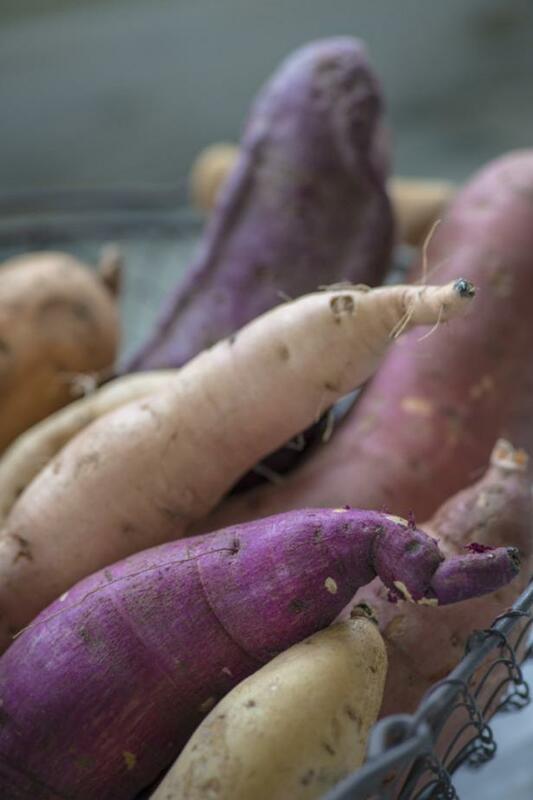 The tubers are packed with many essential vitamins such as pantothenic acid (vitamin B-5), pyridoxine(vitamin B-6), and thiamin (vitamin B-1), niacin, and riboflavin. These vitamins are essential in the sense that the human body requires them from external sources to replenish. These vitamins function as co-factors for various enzymes during metabolism. Sweet potato top greens are indeed more nutritious than the tuber itself. Weight per weight, 100 g of fresh leaves carry more iron, vitamin C, folates, vitamin K, and potassium but less sodium than its tuber.